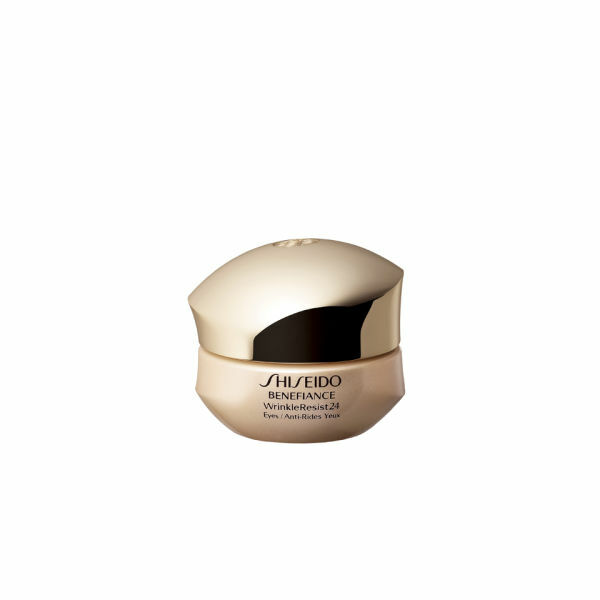 Say hello to a smoother and firmer eye area with the Shiseido Benefiance WrinkleResist24 Eye Contour Cream. Rich and luxurious, the anti-ageing eye cream contains burnet extract which revitalises cells and counteracts loss of firmness, whilst super bio hyaluronic acid N and hydroxyproline work together to moisturise the skin and support the production of natural collagen. Designed to address all signs of ageing around the eyes, including crow's feet, under-eye lines and corner creases, the nourishing eye cream improves the appearance of existing wrinkles and helps to prevent future wrinkles from occurring. - L.M.